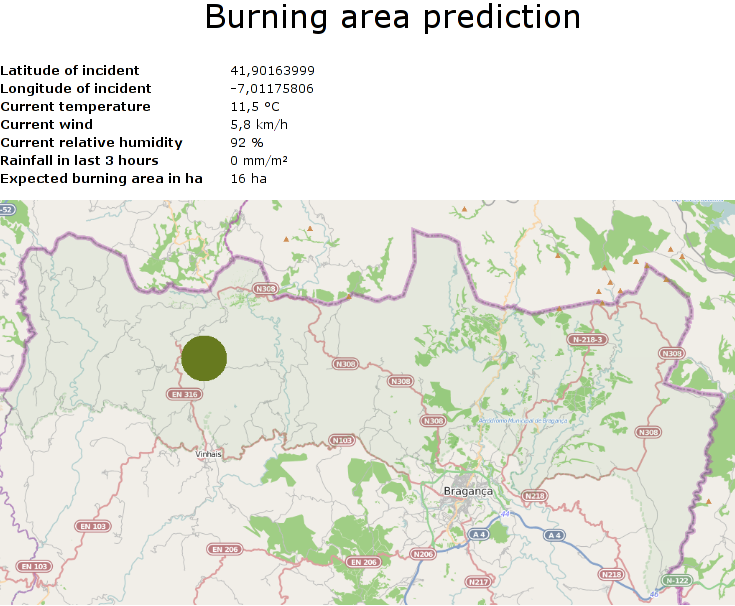 This KNIME workflow models the prediction of the burnt area by forest fires. It's based on the publication A Data Mining Approach to Predict Forest Fires using Meteorological Data by Cortez and Morais. The used dataset contains 517 fires from the Montesinho natural park in Portugal. For each incident weekday, month, coordinates, and the burnt area are recorded, as well as several meteorological data such as rain, temperature, humidity, and wind. The workflow reads the data and trains a regression model based on the spatial, temporal, and weather variables. The model is then used to predict the burnt area based the current date and the coordinates where the fire is spotted. This prediction can be used for calculating the forces sent to the incident.